The senate heard four more outside proposals and hosted Steve Rall of Bon Appétit. After a prayer for those affected by the mass shooting late last night at Borderline Bar and Grill in Thousand Oaks, California, a heavy-hearted Student Government Association senate got down to business in another open proposal meeting on Thursday. 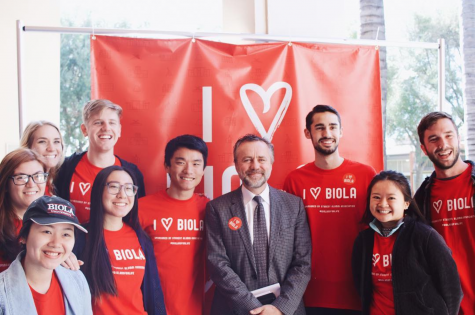 Senators heard four outside proposals to fund various events, such as the Student Conference on Racial Reconciliation, the premiere of this year’s Biola student film, GRIT’s Christmas party and Biolathon. The senate also hosted Bon Appétit general manager Steve Rall, who revealed several upcoming changes to campus eateries and reaffirmed his staff’s commitment to responding to feedback. He also asked for SGA members to volunteer in helping serve during the Caf’s annual Thanksgiving dinner. The traditional Caf event was moved a day earlier this year to Nov. 14, a Wednesday, as opposed to its usual slot on the Thursday before Thanksgiving. Rall said the change was made at the request of President Barry Corey to accommodate a scheduling conflict. Corey will return as the “celebrity turkey carver” for this year’s dinner. Senior music education major Evan Williams presented on behalf of SCORR. The Biola-hosted, nationwide conference is entering its 23rd year and requires funds, Williams said, for several key areas, including food and refreshments as well as for resources for attendees. The funding will also be used for the conference’s customary cross-culture worship night as well as alternative forms of art such as graffiti art in designated areas. The conference focuses on educating how best to relate to others across racial and cultural lines and is expecting over 200 attendees for its next edition in spring 2019. It is free for Biola students, but also attracts students from Christian schools across the country who have to pay a registration fee. SCORR does get funding from other departments to help in specific areas such as marketing, but still needs SGA’s help, Williams said. His proposal requested a total of $1,752. The next proposal requested SGA’s help in funding the premiere of “Mallory,” this semester’s Biola student film. The three-person presentation consisted of junior cinema and media arts majors John Rizkallah, the film’s writer and director, Emilio Mazariegos, its producer, and Megan Scott, its premiere director. The film, which will be the first released by Biola’s newly christened film school, focuses on how social media and technology can negatively affect relationships. Rizkallah said he wrote the script while on a fast from social media, which prompted him to consider its vast impact on people and the way they interact with each other. The premiere will take place on the evening of Dec. 6, and Scott said the filmmakers hope to use it as an outlet to discuss the relevant theme. It will be free to the public and students from all majors are encouraged to attend. Rizkallah, Mazariegos and Scott requested $1,968.18, the majority of which is slated to go towards technical setup costs for the premiere in Sutherland Auditorium. They also intend some funding to be used for a Hollywood-style red carpet event beforehand and food inspired by the movie for before and after the showing. GRIT, Biola’s blog and self-described resource collective for women, submitted a proposal asking for additional funding for its second annual Christmas party, which doubles as a service project where members of the Biola community can pack care products to be donated to homeless women in downtown Los Angeles. Junior journalism major Jasmyne Bell, presenting on behalf of GRIT, requested $2,491 to cover the costs of supplies for 400 care packages. The anticipated number of packages is four times as much as GRIT budgeted for last year, when in its first year of existence, attendance and enthusiasm for the party soared above the expectations of GRIT’s leadership. 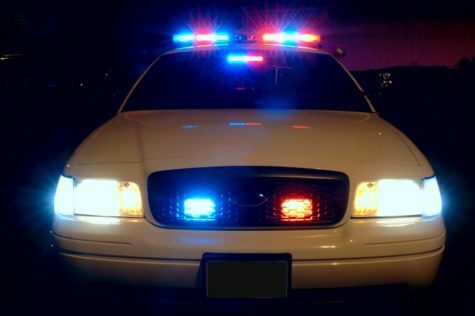 “The party was over way sooner than we wanted it to be,” Bell said. The packages will be donated to the Downtown Women’s Center near Skid Row. GRIT was able to cut costs in other ways through a partnership with the Collegium, which will host the party, eliminating the need to request funding for setup and decorations. Biolathon, the annual dance marathon that raises funds to be donated to local charities, will be back for its third year—this time, as an official club. Club president and junior CMA major Sierra Stoltzfus, along with club vice president and sophomore sociology major Hannah Strege, requested $3,435 to fund the event and explained some changes they were making to the format. The most significant change is that the club leaders are shortening the duration of the event from eight hours to six in the hope that students will be more open to being involved. They also hope to engage the students who sign up in serving more as a community. The event is currently scheduled for March 16, 2019.